Think about who purchases music lessons: almost always, it’s a mom. It’s moms who are coordinating the soccer practices, the birthday parties and the playdates, and it’s moms who are overwhelmingly choosing the music lessons. 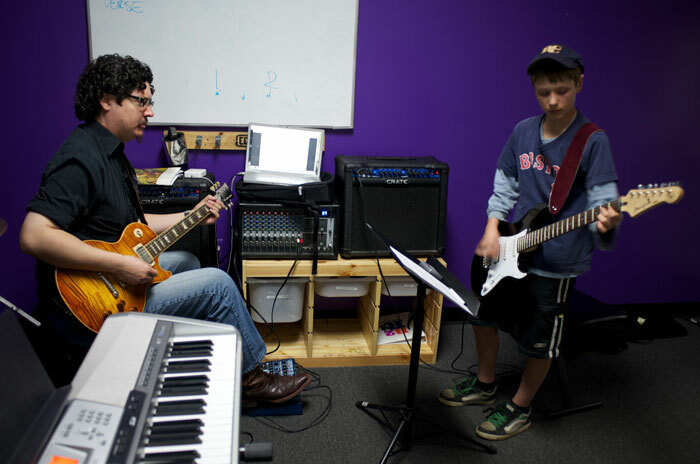 In the communities where Bach to Rock works best — an upscale suburban market where families have disposable income for music lessons — we make it as easy as possible for moms to come to Bach to Rock. Eventually, the students will tell their friends — post pictures on Facebook, put pictures up on Instagram, post videos on YouTube — and your school will go viral. 1. Events. Every time a Bach to Rock band plays a public venue, you’re putting your teachers and kids where moms are already spending their evenings and weekends. As a franchisee you’ll work with your site directors to find those family-friendly local restaurants, festivals and school or church events where their student bands will find a welcome reception. They always play free of charge to gain exposure to performing, and that means Bach to Rock gets a free way to advertise services. 2. The internet. We take a three-pronged approach to getting out the word online: We publish strategic content that targets local organic search phrases, we launch visible paid search advertising and we participate in high-profile directory and review websites. When someone Googles “guitar lessons” and the name of any community where we have a school, we make sure Bach to Rock pops up in as many places as possible. Our corporate staff uses part of your national advertising dollars to handle the organic search portion of that, and we teach you how to raise your visibility online. We’ll recommend vendors and local grassroots sites targeted for moms in a specific geographic location. You’ll be able to list your Bach to Rock events on listservs, email blasts and other online tools that list kid-friendly resources for those moms who are always searching for activities. More than 5,000 kids pour through our classrooms each week. Every one of them wants to be a star or performer. Bach to Rock can promise them something that no one else can: They’ll actually get to experience what it feels like to be a famous musician. Bach to Rock kids are out there playing gigs to cheering, applauding crowds. Writing their own songs. Performing the kind of music they love, whether it’s rock, hip-hop, Top 40 or indie. Maybe some of them will go on to be famous — one of our bands, Throwing Wrenches, is making a name for itself already — but even if they end up in unglamorous careers, they’ll always have that Bach to Rock experience. And their mothers love us for that. If you’re interested in learning more, please fill out the form at right or click the link below.